Model UN traveled to Mckendree on November 6 and 7 to attend the Fall Conference. Members write resolutions on one of three topics. A resolution is written with the goal of recognizing problems and forming solutions to fix them. Each delegate must submit a resolution to their committee. Lead delegates must also submit a position paper. 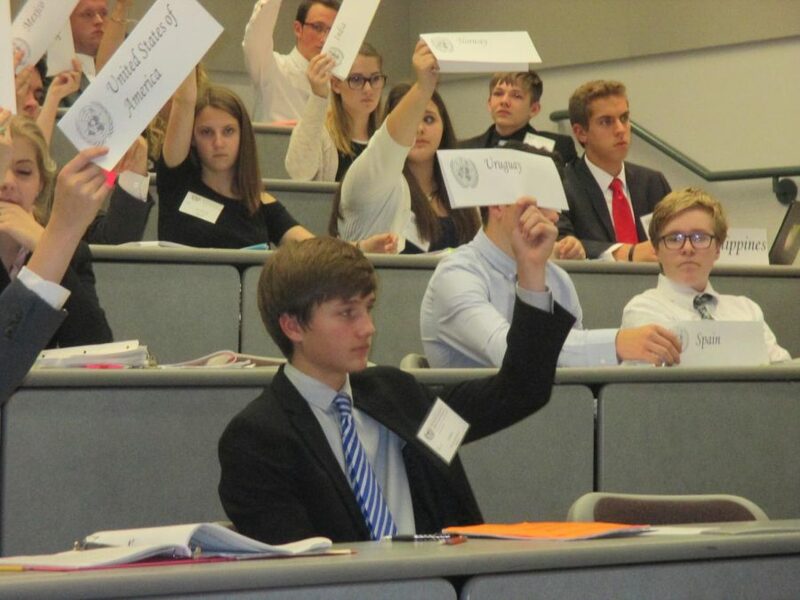 Delegates debate over preset topics as they represent their designated country. Okawville’s lead delegates represented Uruguay. Anna McKinley, Payton Riechmann, and Jarad Barnes all received superior awards for their performance at the conference. Model UN will travel back to McKendree in April for the 2018 Spring Conference. This is a special conference because it is a three-day conference. The last day is reserved for awards and a crisis situation. Keep up the hard work delegates!